FOR-A Corporation of America is pleased to announce that Cable 14 in Hamilton, Ontario CANADA has recently purchased an Odyssey Insight Production Server to be used for pre-recorded openings, closings, and for the insertion of pre-produced segments into programming produced for the Greater Hamilton Area. 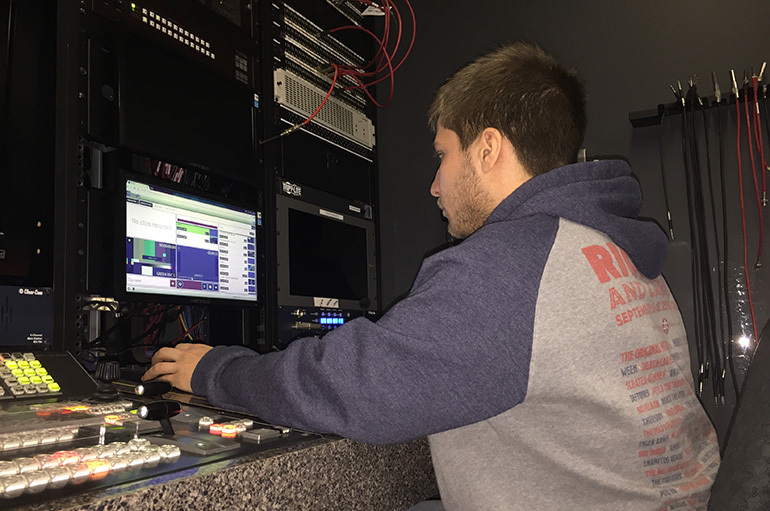 Housed in the Central Equipment Room, the Production staff can access the server and its contents from anywhere in the building, using the very intuitive built-in web-based GUI that comes standard on the Insight Server. The Insight Production Server is a versatile four channel playout system designed for studio and mobile truck environments. Having a wide range of supported wrappers and codecs makes Insight an excellent tool for media contribution and general video playout tasks. The system supports up to four SD, HD as well as an optional single 4K channel. The Insight Server has a full web GUI that allows users to control the server from anywhere and any device. Studios and production environments usually have complex interaction between an assortment of devices, which are coordinated either through human interaction or proprietary links. Insight’s flexible event processor allows connection of multiple devices and interaction with video switchers, routing switchers, CG generators, GPI I/O connected devices and other studio equipment for a seamless production.